Noting Feeling States is an essential mindfulness-based tool for cultivating emotional intelligence. It has two interrelated benefits. Firstly, it develops tolerance and resilience for emotion, allowing us to feel a greater intensity of feeling, for longer, without getting burnt out or thrown off balance. This means that, from a practical standpoint, this practice leads to greater comfort with experiences and thoughts that cause fear, anger, sadness or any unpleasant flavor of emotion, and greater capacity to appreciate all manner of pleasant emotion. The second benefit of Noting Feeling States is an increase in emotional clarity. This practice helps us to more clearly discern one feeling from another, so we really know how we're feeling moment by moment. It also helps us to discern our feelings from those of others, and it helps us to feel other people's feelings more clearly (with all the resulting benefits to communication and empathy). Bring your attention to the place(s) in your body where you feel emotion. Emotion related to the present moment (e.g. emotional reactions to things that are happening around you, or emotional reactions to things you might be thinking) tend to play out on the surface of the body, across the belly, chest, front of the throat, face, insides of arms, and insides of legs. It's a subtle, vibratory experience that tends to play out in waves. Present-moment emotion comes and goes relatively quickly, unless it is being driven by thinking, in which case it will go on as long as the thoughts continue which are driving it. You may also notice emotional centers deeper in the body—usually tight or contracted, like a muscle ache or a cramp. These tend to be stable in shape and location, with a predictable emotional flavor connected to them. These are pools of old, stored emotion. You may notice that they release emotion, which washes over the surface of the body in the areas described above. Either or both of these types of emotion can be your focus. If you don't know where to start, I would suggest starting with present-moment emotion. Begin to label what you find! At a comfortable pace, use short, mental labels to name the emotion which is present. E.g. "sadness, humor, calm, irritation..." If no emotion is present in a given moment, you can use the label "rest." If an emotion is present, but you aren't sure what it is, you can use the label "something," or just take a guess. More clarity tends to emerge over time. With each label, the aim is to cultivate an interested, detached stance about the feeling being labeled—fully allowing, not needing to change anything, just very curious about the physical details of the sensation. In other words, we aren't interested in the story, "why am I feeling this way, what does this mean about me, this is going to go on forever..." We are interested in the physical experience: texture, shape, size, body position, movement, intensity, vibration, change over time (increasing, decreasing, same...). Even the absence of emotion is an opportunity for physical investigation, so rather than waiting for an emotion to happen, we can get very curious about the experience of emotional rest. What does it feel like? Is there a subtle physical experience that makes up the feeling of emotional rest? Is it pleasant or unpleasant? How big is it, is it solid or moving, etc., etc.. Emotions, generally speaking, motivate us into action. Here we are experimenting with a radically different approach. Rather than acting, rationalizing, explaining, suppressing or fighting, we are just allowing. We are aiming for a fully nonjudgmental, non-preferential stance, letting all emotional experience be exactly as it is. Letting feelings take up as much space as they want to, increase or decrease when they want to, be present or absent when they want to, etc. What if no emotion is present? No emotion, no problem! If no emotion is present for an entire practice period, or even for months, we are staying detached, not needing emotion to come, not needing "something to happen." Simply maintaining an open, curious invitation for what IS present to be felt in it's full detail. In the case of no emotion—fully feel and enjoy the experience of emotional rest. Depending on your conditioning, it may be months before emotional experience presents itself in the body. Stay loose, stay curious, enjoy the rest! It won't go on forever. What if it's the same emotion over and over again? Same deal! We are aiming for a non-preferential stance, so if the same emotion is present for a long period of time, it's simply an opportunity to learn a lot about the physical properties of that emotion (in the ways described above). To sum up: The surest way to keep an emotion from leaving is to want it to leave. The surest way to keep emotion from arising is to want it to arise. Like that old adage: what we resist persists! So rather than fighting, we are aiming to more and more deeply be with things just as they are. This is what is meant by the term "equanimity." Certainly, there's a reason why many of us have such a hard time feeling emotion: it's uncomfortable! It's reasonable to expect a certain degree of discomfort when practicing this technique. In sitting with that discomfort, the body-mind learns to relate differently to emotion. Instead of needing emotions to go away, we learn not to resist them, and find substantial relief in doing so. Want more info on this? This article might help. Want some clues about how to help this re-learning along? Check out this article. That said, we don't want to burn ourselves out, nor do we want to make practice so unpleasant that we won't do it. For that reason, it's very skillful to have other strategies on hand to cool us down. Lovingkindness and concentration practices, on my resources page are great options for that. It's always ok to back off. Emotions contain important information! Why are you encouraging passivity? On the contrary, this isn't about passivity, and it isn't about disregarding the valuable information contained in emotions. Rather, by sitting with emotion just as it is, we are increasing our freedom of choice. We move away from a place of being compelled into action (which sometimes leads to unkindness and regret) and we move toward choice about how we respond, what action we take and when. We also move into a place of being able to hang in when there is simply nothing we can do to change external circumstances. The Buddhists call it "happiness independent of conditions." On an even deeper level, I like to think of it as "ok-ness, independent of happiness." 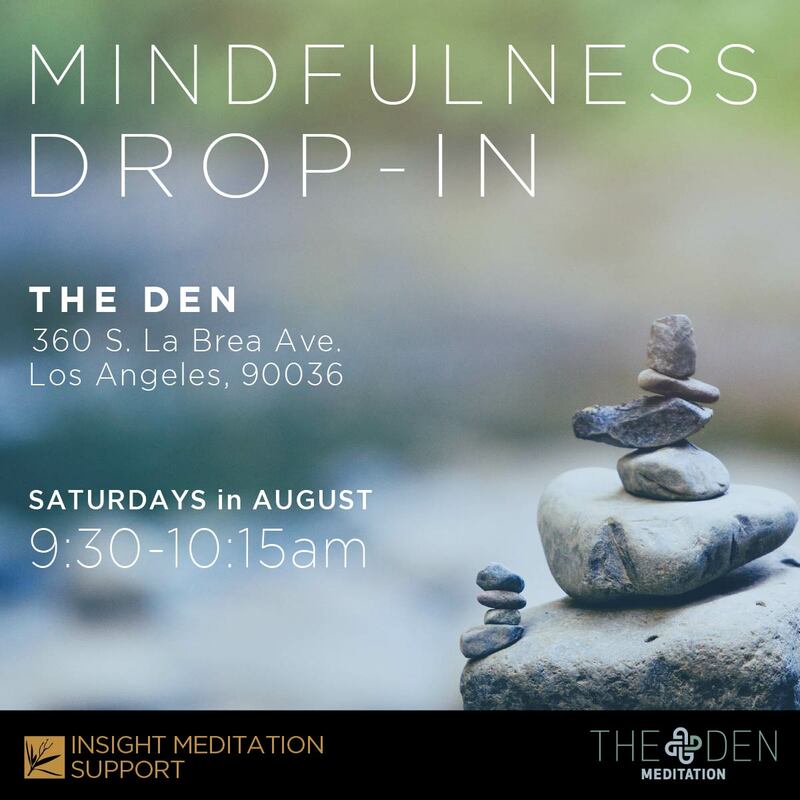 Wanna try the practice out with the help of a guided meditation? On the right, you'll see a sign-up form for my mailing list. Enter your e-mail address and I'll send you a guided meditation which lays out all the basics of Noting Feeling States. But I already get too many e-mails! Yup, I know. Me too. Hopefully, my one more per week won't be the straw that breaks the camel's back, but please feel free to unsubscribe if the articles I send out prove unsupportive. I have a question that wasn't listed here. I can probably help, or point you to someone else who might. I love having conversations about practice, and I'd be happy to listen. Feel free to contact me.